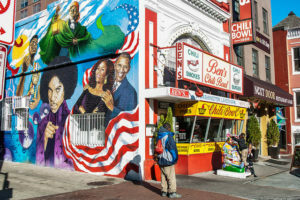 A proud Michelle Obama and smiling Barack stand together, painted on the side of Ben’s Chili Bowl on U Street, the “Black Broadway” of DC. The business, opened in 1958 by the Ali family, has become a landmark of the Shaw neighborhood and it has gone through most of the social and cultural changes in the area. In the 1950s and 60s, Shaw was the pinnacle of African American culture and society. But when Martin Luther King Jr. was assassinated in 1968, riots and fires broke out in the neighborhood, changing its character and semblance for years to come. Today, Shaw looks nothing like a drug ridden community. Shiny glass buildings, modish restaurants and contemporary coffee joints rise are scattered among the multicolored, semi detached, two-story homes. The Washington D.C. metro came to Shaw in 1991, and with it came new businesses. 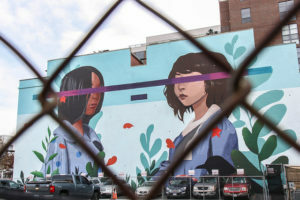 “It became more diverse than ever and all of a sudden we had real estate development and the start of gentrification in our neighborhood,” he said. According to the U.S. Census Bureau, in 1980 the community was 81 percent African American, but by 2010, the number of black residents had dropped to 30 percent, and 53 percent of the Shaw’s residents were white. Compass Coffee is one of the many new, upscale eateries that opened in Shaw in the last decade. Professor Derek Hyra sees it as a spatial indicator of gentrification. 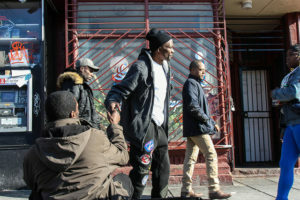 Hyra, author of “Race, Class, and Politics in the Cappuccino City,” holds that Shaw, once an “iconic ghetto” associated with poverty, crime and public housing has become a hip, edgy “gilded ghetto” that is now higher income and expensive. “There’s this legacy of the past in these communities that is commodified and sold at a higher price to gentrifiers,” said Hyra. “Black branding” is the term that Hyra uses to describe this phenomenon, where business developers advertised Shaw’s African American identity as a marketing pitch to attract white newcomers. 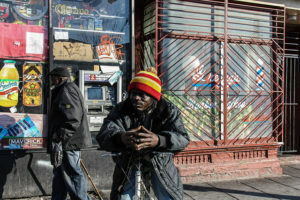 Doctor Hyra threw another term in the hat and said that white millennials are in search of that authentic, ghetto feel by “living the wire,” a phrase inspired by the HBO series “The Wire” about “inner-city black life in Baltimore”. But there are disagreements in theorizing gentrification. 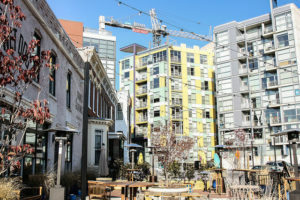 According to Professor Bernard Demczuk, a historian of African American history, gentrification is a historical, natural process that in fact gained its name improperly. It should be called urbanization, the third of four great waves of American cities, which for Shaw started in 1991. But gentrification for Shaw black residents is less about theory and more about numbers. In the last decade, aggregate income has risen and property values have skyrocketed. He bought his house in 1998 for $155,000. The house was identical to that of his immediate neighbor who bought his in the 70s for $17,000. When his neighbor passed away, his heirs sold the unrenovated house for close to $800,000 and the developers who bought it, renovated it and resold it for $1.3 million. But Padro thinks these sales benefits the neighborhood. Despite a decline in black residents, he said no one has been forced to leave Shaw. Padro said gentrification can also be an opportunity for those longterm residents to resell their homes at over triple the price they first acquired them for. And Ali of Ben’s Chili Bowl agreed that even with the changes, some longtime residents have cashed in. Amidst their “revitalization” efforts, Shaw Main Streets has helped some African American businesses, like Wanda’s, stay in their original spots. Wanda Henderson, an African American woman, waltzed around her salon, Wanda’s on 7th. It’s been here since 1997, but not without a fight. In 2010, a developer bought most of the block to turn it into a shiny, glassy project forcing her to move her store temporarily up George Avenue. The nonprofit organization ONE DC helps organize Shaw’s tenant associations to protect African American residents. Like Henderson, many longterm residents and business owners welcome change, and want to be a part of it, making sure they’re part of the community, even with new development. But there’s always a price to pay, and it adds up to much more than money. “To say ‘hey, here’s some money. We’ll just find you another place because we’re gonna tear down these houses to build’… you know, whatever. It’s hurtful,” said Lakisha Davis-Small. Her family had a house on 5th and Q Street for 40 years, but in the end they were forced to sell. A house isn’t the price you pay for it. It’s a home, and for most people, whether black or white, the memories attached to it are priceless. “You sell your home, you sell your history,” said Henderson. Kenny, who did not want to give his last name, grew up in Shaw. He recently got a beard trim at Gregg’s Barber Shop, one of the few businesses in the area that have survived for over 80 years. Kenny said he moved out because of rent increases. 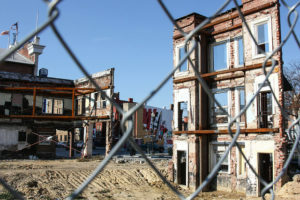 In 2014, Kelsey Gardens, a 54-unit garden-style apartment complex on 7th, was torn down and replaced with the Jefferson Market Place, a mixed-use development building that includes 281 luxury apartments and nearly 13,400 square feet of retail space. 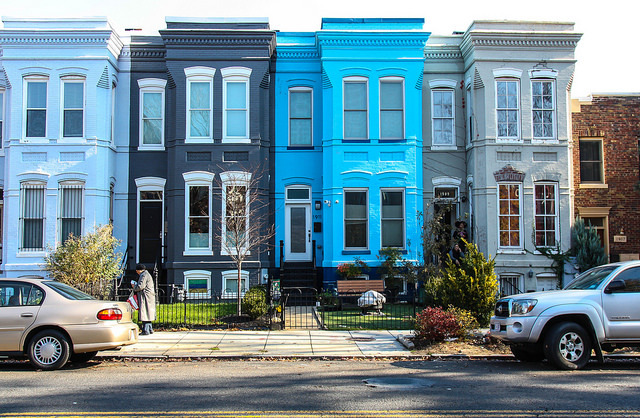 Gentrification in Shaw has encouraged investments, lessened crime and given the neighborhood more than a fancy makeover. However, according to Hyra, the displacement of long-term residents isn’t only physical, it’s also political. 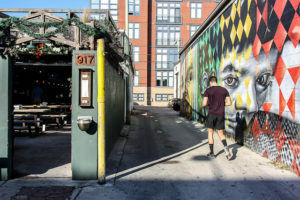 White newcomers have taken over the institutions and vouch for typical “gentrified amenities” like dog parks, bike sharing facilities and hip beer gardens, leaving behind the needs of the longterm African American residents. “Although low-income people are living in what is perceived as a safer community, they’ve lost their political representation,” said Hyra. Yet, like everything, gentrification has two sides. Contrary to what Hyra defines as “diversity-segregation” or “micro-segregation,” today, the Kennedy Recreation Center, a crucial rendezvous for African American residents for years, looks integrated. But not all that glitters is gold. And stereotypes are hard to dismantle. Shaw was once the beating heart of the Chocolate City, and today, according to Hyra, it has been replaced by a more expensive Cappuccino City, where white foam and black coffee are mixed together to create a new reality. But for some, it will take time for the two to blend together.